Back again, with another Happy and Simple Card for you all. This week I wanted to focus on decorative paper and the ease in which you can use it to make a stunning card. 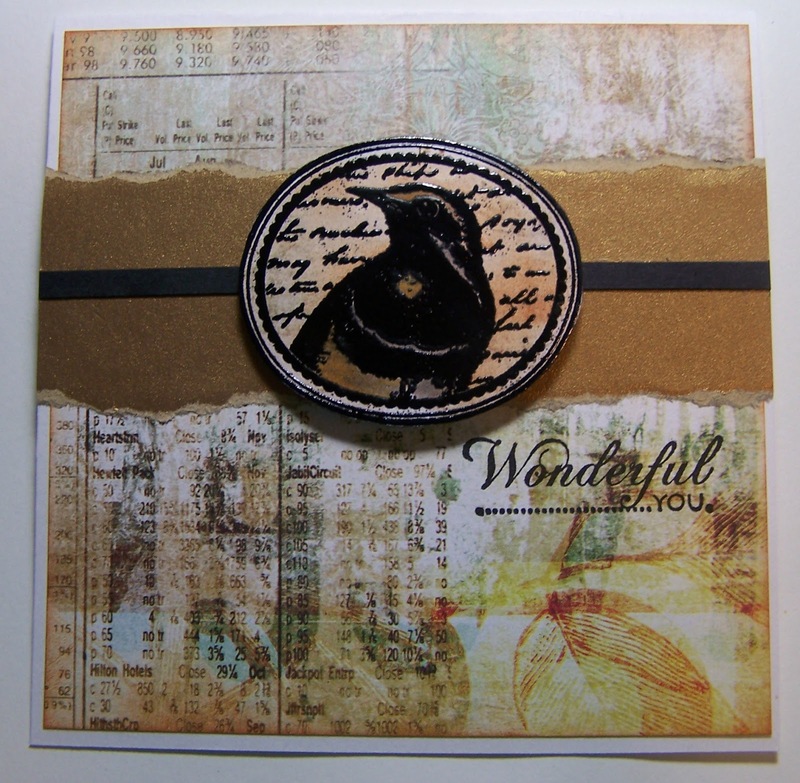 In the example below, I found a beautiful collage style cardstock by Momenta and thought it would be perfect for a quick and simple card. I used this wonderful paper as my base by cutting out a panel that was slightly smaller than my card base (5×5 card base). The edges were darkened with Distress ink prior to adhering the panel to the card. I then adhered a wide strip of metallic gold paper (torn at edges) along with a thin black strip of cardstock to the upper-mid portion of the card. For the focal point, I stamped and embossed an image of a “bird within a frame” and lightly colored with alcohol markers. This element was adhered to the card, in the center of the gold/black strip, with pop up foam. Lastly, I stamped the saying (as shown in the example). What do you think? Would a Happy, Simple card like this work for you?